Kansai International Airport is situated on a man-made island in Osaka Bay about 40 km from central Osaka. There are various ways to get to and from the airport. 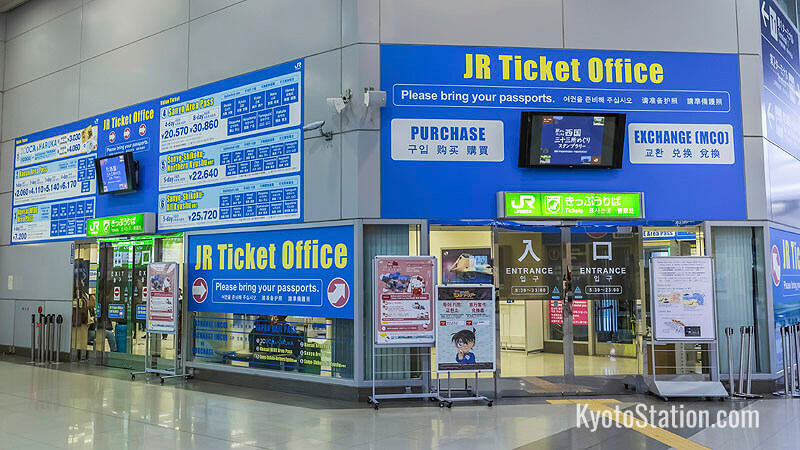 If you are traveling from Kansai International Airport to Kyoto, then your first stop may be the Travel Desk of Kansai Tourist Information Center. This is located on the first floor of the Terminal 1 building. 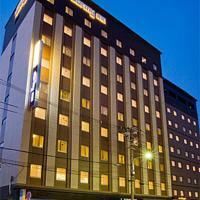 Here you can get information on transportation to Kyoto, book tickets and also book hotels. The official airport website also has a complete set of downloadable maps to help you find your way around the airport. 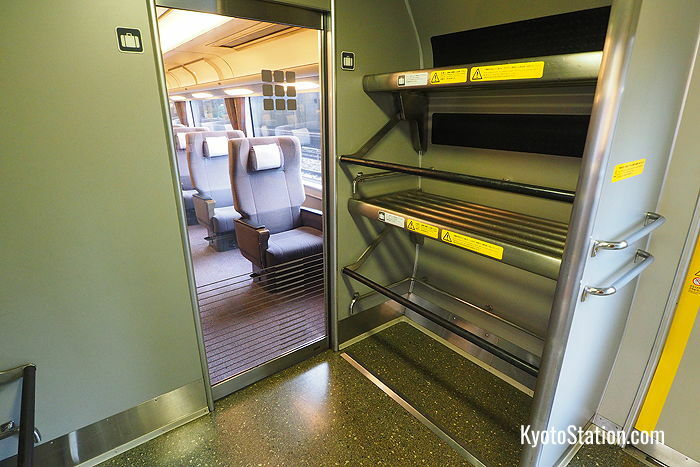 Probably the easiest and fastest option when traveling between Kansai International Airport and Kyoto is the train. However, there are other options that may suit you better depending on the time of your journey and other circumstances. Below is a full list of options for traveling between these two destinations. The Limited Express Haruka operated by JR West is the only rail service between Kyoto Station and Kansai International Airport. 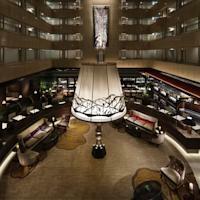 It covers the distance in about 75 minutes stopping at Osaka City’s Shin-Osaka Station and Tennoji Station on the way. It does not stop at Osaka Station. At Kyoto Station the Haruka departs mainly from platform 30, though some early trains depart from platforms 6 and 7. At Kansai Airport Station the Haruka departs from platform 4. The Limited Express Haruka runs about 30 round trips between Kyoto Station and Kansai Airport Station every day. The earliest Haruka service from Kyoto Station is at 5.46 am getting into Kansai Airport Station at 7.11. The latest Haruka service from Kyoto Station is at 20.15 getting into Kansai Airport at 21.43. The earliest Haruka service from Kansai Airport is at 6.30 am (6.40 on weekends and holidays) and the latest is at 22.16. You can use the JR West Timetable and Fare Finder to find a train time that suits your schedule. This train is covered by the Japan Rail Pass. If you do not have a Japan Rail Pass you might consider getting the “ICOCA & HARUKA” discount set of an “ICOCA” prepaid rail card with a reduced-fare ticket for the Limited Express Haruka. The ICOCA card can be used on a lot of the railways and buses in the Kansai area. You can find out more about it at the official JR West website. 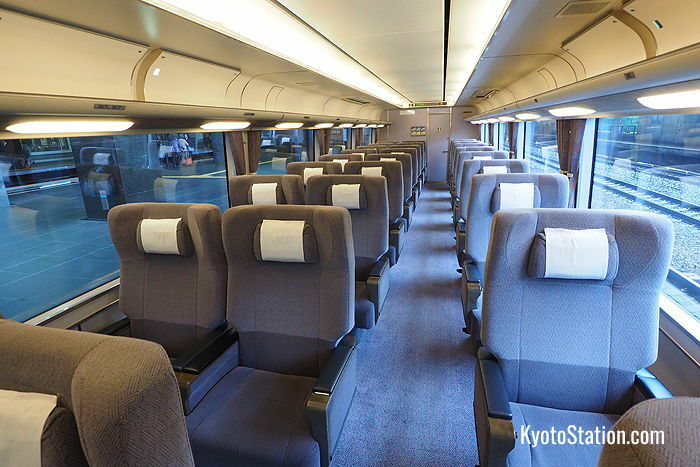 The normal fare for the journey between Kyoto Station and Kansai Airport Station is 2,850 yen. A Limousine Bus runs regular services between Kyoto Station’s Hachijo-guchi southern exit and Kansai Airport. 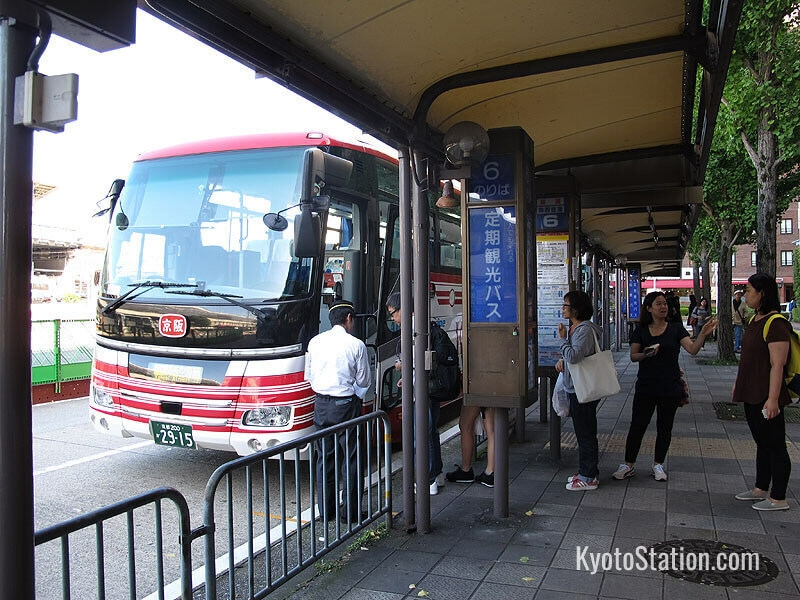 The bus departing from Kansai Airport also makes stops at several other locations in Kyoto after Kyoto Station. These may be more convenient for your final destination. Check timetables on the Kansai Airport website for details. At Kansai Airport you can board buses at bus stop 8 on the first floor of Terminal 1, and bus stop 1 at Terminal 2. Ticket windows are open by these bus stops at which you can buy tickets. Tickets cannot be reserved and boarding is on a first-come first-served basis. The Kansai Airport website has maps for the bus stops at Terminal 1 and Terminal 2. For buses departing from Kyoto Station the bus stop is in front of the Avanti building which is directly opposite the Hachijo-guchi exit on the south side of Kyoto Station. Be careful that you don’t board a bus for Osaka Aiport by mistake, as this is a different destination and the departure point is nearby. 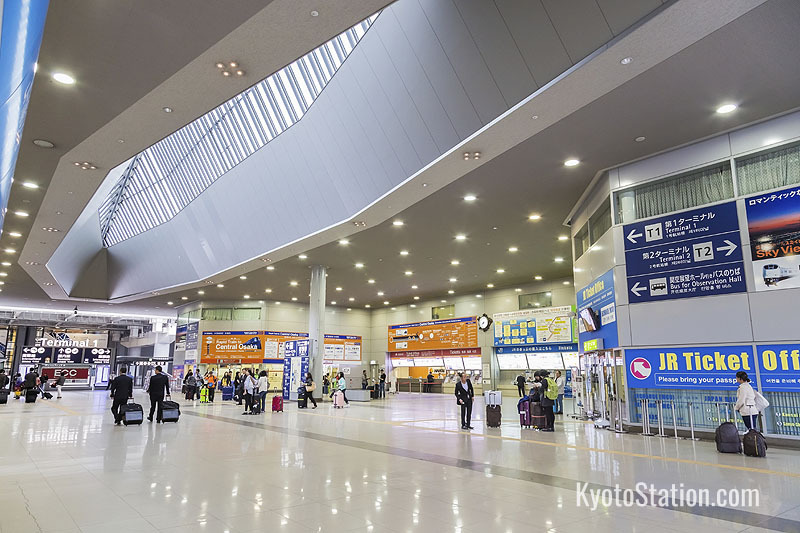 Tickets from Kyoto Station must be reserved any time from 1 month to 1 hour before departure. 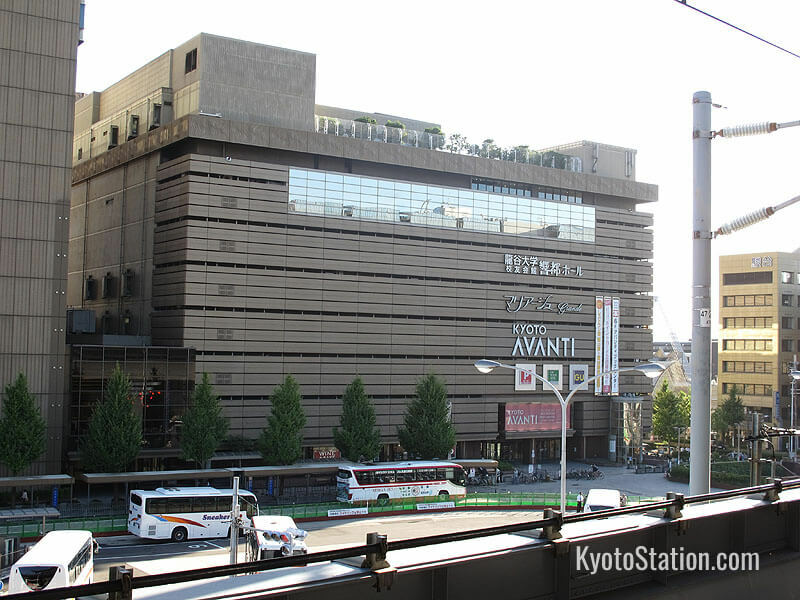 You can reserve tickets at the Keihan Bus Center which is directly behind the bus stop in the Avanti building. The Kansai Airport website has a map for this departure point. Other departure points in Kyoto can be found on this page. 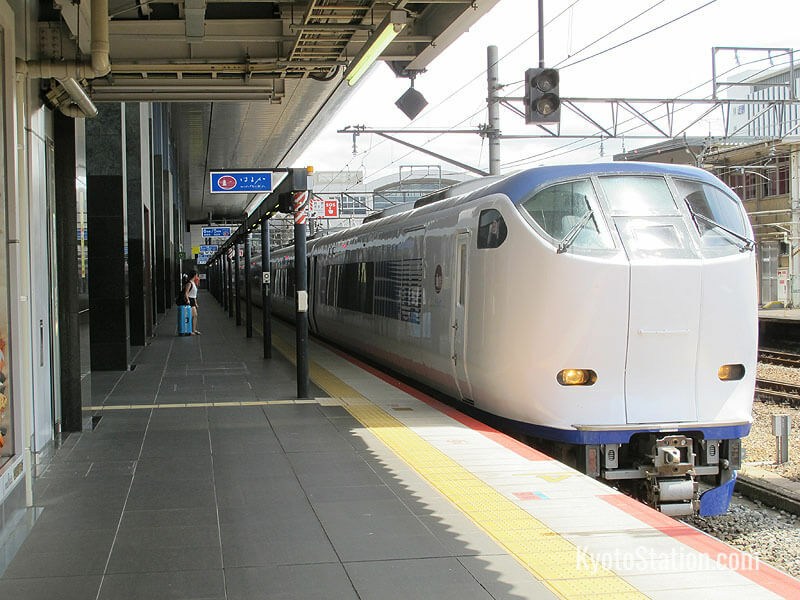 The fare between Kyoto Station and Kansai Airport is 2,550 yen for adults and 1,280 yen for children and the journey takes approximately 1 hour and 30 minutes. The earliest departure from Kyoto Station is at 4.30 am reaching Kansai Airport’s Terminal 1 at 5.55 and Terminal 2 at 6:06. The latest departure from Kyoto Station is at 21.40 reaching Kansai Airport’s Terminal 1 at 23.05. The earliest departure from Kansai Airport is at 6.05 am from Terminal 2, and 6.20 from Terminal 1. It reaches Kyoto Station at 7.45. The latest departure from Kansai Airport is at 23.40 from Terminal 2, and 23.55 from Terminal 1. It reaches Kyoto Station at 1.20 am. Full timetables for the Limousine Bus service between Kyoto Station and Kansai Airport are available on the Kansai Airport website. We do not recommend that you simply hail a taxi from Kansai Airport to Kyoto or vice versa as it would be far too expensive. 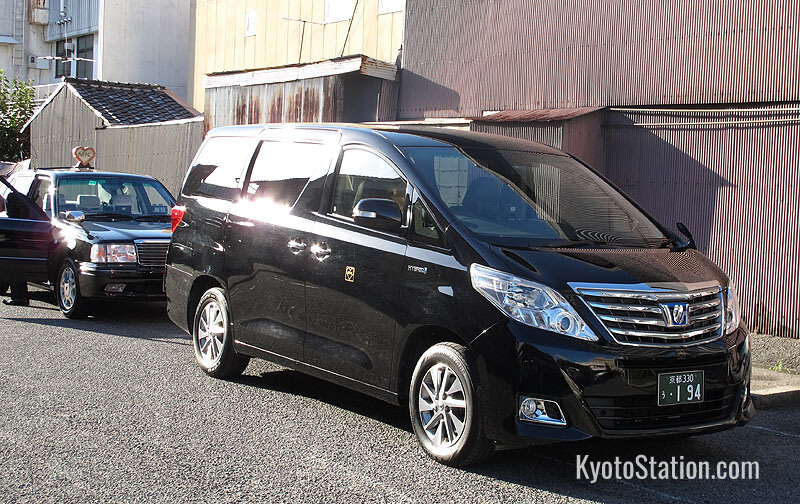 However, both the Yasaka Taxi and MK Taxi companies run affordable and convenient shuttle services between Kyoto and Kansai International Airport. 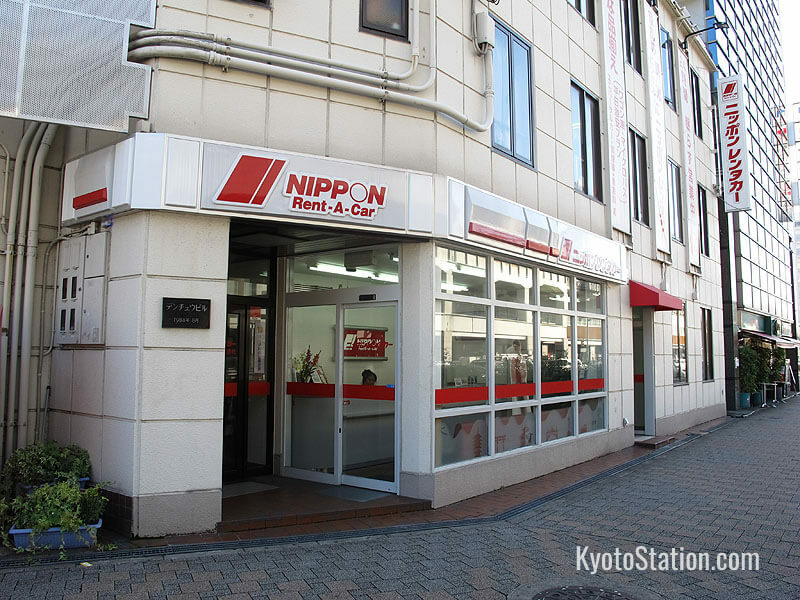 The advantage of these services is that you do not have travel between your hotel and Kyoto Station as the taxi service will pick you up (or drop you off) at your door. Because it takes time to travel to each passenger’s separate location, the journey can take a bit longer, but usually no more than 2 hours and 30 minutes. Both companies have desks in the arrivals hall of Kansai Airport and have comparable fares at 3600 yen for MK Taxi, and 3500 yen for Yasaka Taxi. The MK Taxi shuttle service operates between 6.00 am and 22.00, whereas Yasaka Taxi operates its shuttle service between 7.00 am and 21.00. Both companies require a reservation at least two days in advance of your trip but early bookings are advisable in case seats become unavailable. 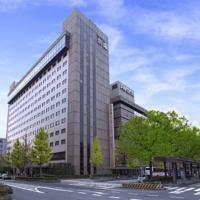 Yasaka Taxi’s shuttle service can be booked online. MK Taxi’s shuttle service can be booked online here. There are several rental car options to choose from at Kansai Airport and close by Kyoto Station. Driving between the two locations will probably take about 90 minutes depending on the traffic. Renting a car might be a worthwhile option if you intend to explore areas of the Kansai region that are less accessible by train or bus. However, you will need a valid international driver’s license in order to rent a car in Japan. At Kansai Airport the car rental counters are in the Aeroplaza section of the airport which is a three-minute walk from Terminal 1 or a 7-minute ride from Terminal 2 on the shuttle bus. The following rental car companies are reliable and have English information online: Nippon Rent-A-Car, Nissan Rent-A-Car and Toyota Rent-A-Car. If your plane arrives late at Kansai Airport you may need to stay overnight. 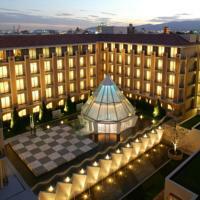 The Hotel Nikko is the only hotel on the Kansai Aiport site. Check the airport hotel website for availability of rooms. The Hotel Nikko along with various shops and restaurants is located in the Aeroplaza section of the airport.